Capalaba FC is proud to announce that Demi Robins has re-signed for our NPLW Open Women's team for 2018. 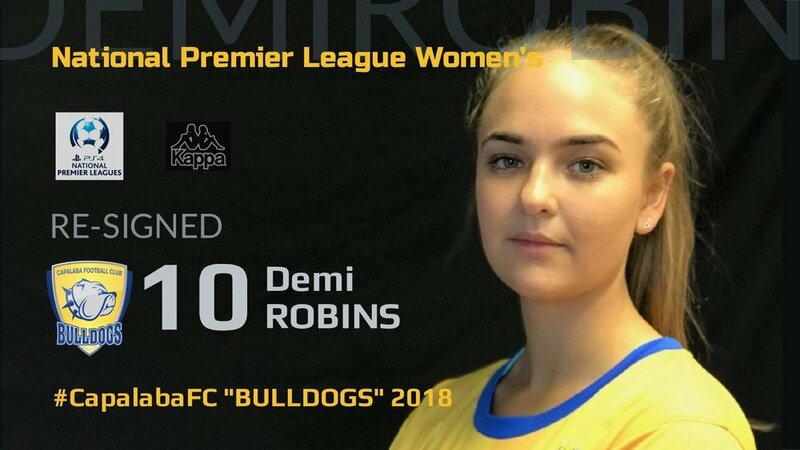 Demi is an important player for our NPLW program next season. This year in the Brisbane Women's Premier League, Demi stepped into an unfamiliar role on the field. She embraced the change and after some great performances, before we were half-way through the season, Demi had made the position hers. She is a strong player who has the ability to break up the oppositions play with some great timed tackles. Once in possession Demi has great composure and vision to turn our defence quickly into attack.